Following on from 2018's successful event, USP is offering you the chance to train on a moving coach! A tubular environment describes places that you may find yourself fighting in that are long but not very wide - including planes, trains boats and buses. These environments are difficult to operate in due to the size, but adding in the vehicle's movement when travelling makes it all the harder. This unusual event will include 3 hours of training on a privately hired coach. Places are limited to 12 people. Saturday 25th May - Wednesday 29th May 2019 inclusive. We have chosen these dates as Monday 27th is a bank holiday - so those of you who work Monday - Friday will hopefully only require using annual leave on the Tuesday and Wednesday of the course. Saturday 22nd June & Sunday 23rd June 2019. Current Instructors who require annual refresher and continuous professional development training. Current USP students (including private students) & Instructors ONLY. EDC stands for Every Day Carry. Waiting for Police arrival having caught a subject red handed. Controlling a violent loved one safely. Escorting a drunk from a party. Appropriate defence against lower risk situations. 'THE COMPLETE GUIDE TO URBAN SELF PROTECTION' VOLUMES 1 & 2 NOW AVAILABLE! 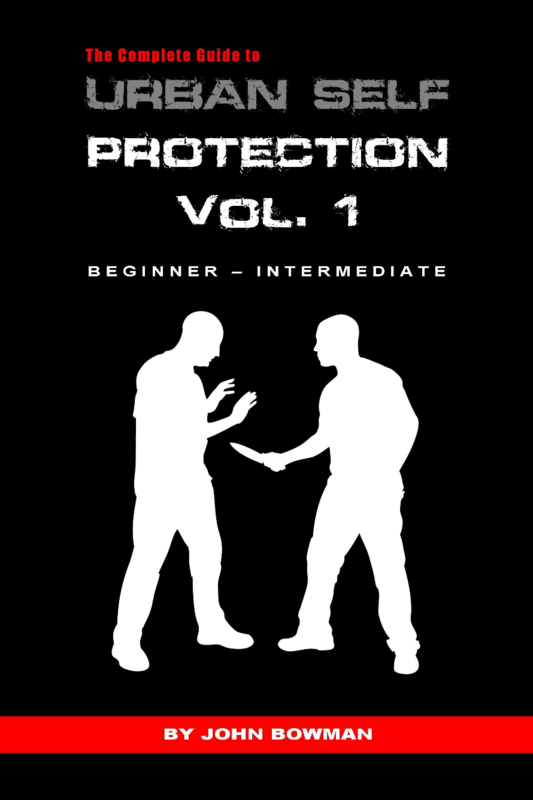 Volumes 1 & 2 of 'The Complete Guide to Urban Self Protection' provide information, tactics and step-by-step instructions in a FULL spectrum of no-nonsense self-protection skills.